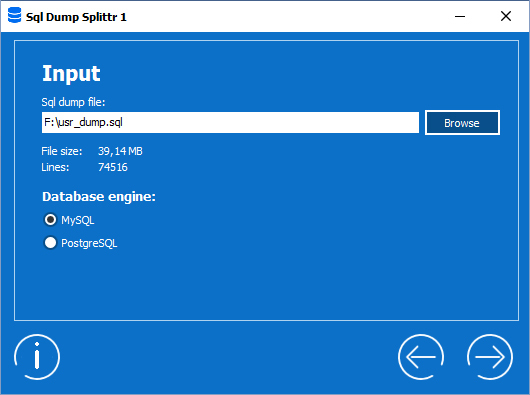 SqlDumpSplittr is a Windows tool with a simple step-by-step wizard to split SQL text dumps from MySQL and PostgreSQL into several files with defined file size. PHP upload limits are not an issue anymore. 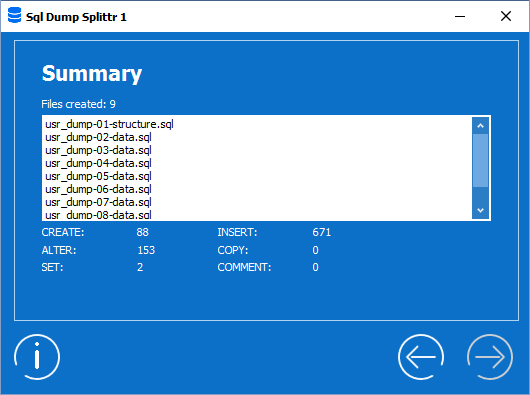 Just split your dumps into pieces and upload it. 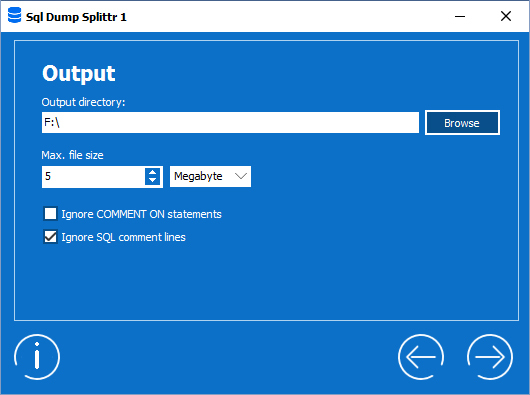 SqlDumpSplittr is creating one SQL file with the CREATE and ALTER statements, and several files with INSERT or COPY statements of the data. Follow the step-by-step wizard, it’s intuitive. After creation of the files you will be upload / exec the “structure” file first. It contains all CREATE statements for the tables. 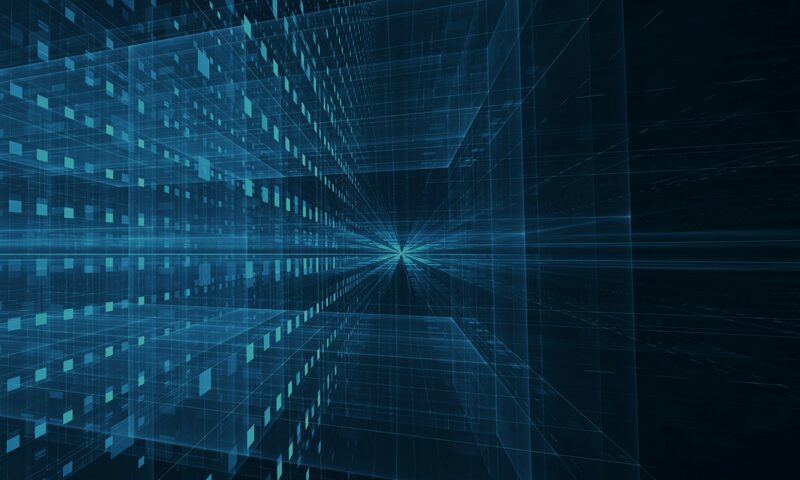 After that you can exec all the “data” files. 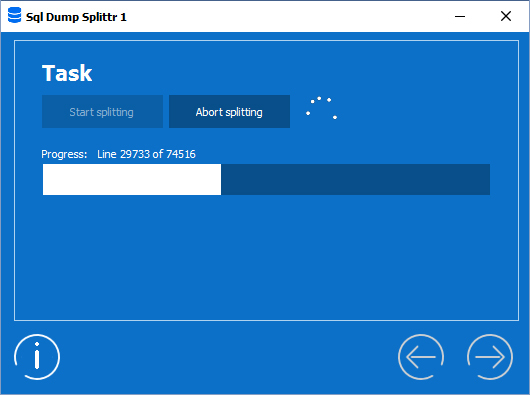 Very big COPY statements will be splitted into smaller ones, depending of your defined maximal file size.  For PostgreSQL you will need to use “psql” binary. 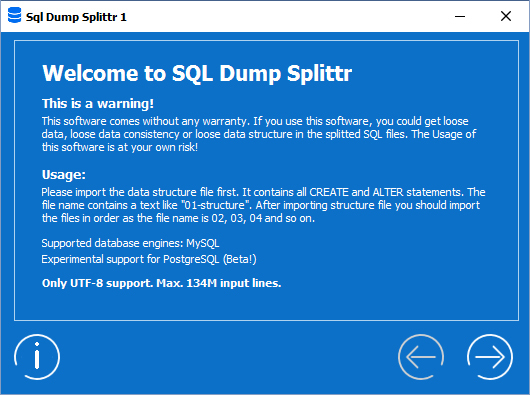 SQL Dump Splitter is currently just available for Windows. Here can you download it.